BNP on Saturday alleged that Bangladesh has turned into a failed state as the government sold out itself to the super powers of the globe. “This government has been staying in power illegally since it is not elected with people’s vote. 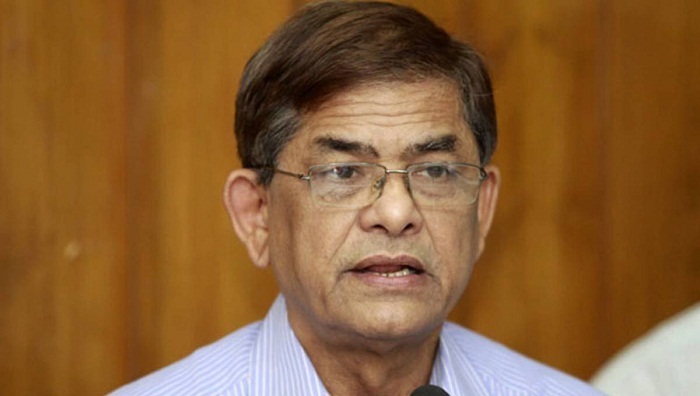 They have already turned Bangladesh into a failed state, “said BNP secretary general Mirza Fakhrul Islam Alamgir. Speaking at a token hunger strike programme he further said this government is working with a motive to build Bangladesh as a subservient country dependent on others. “They (govt) have already been sold out to super powers. They (govt) and their leaders are working as service providers of the super powers,” he said. BNP Nababganj and Dohar upazila units observed one-hour token hunger strike from 1 pm to 2 pm on the ground floor of BNP’s Nayapaltan central office.